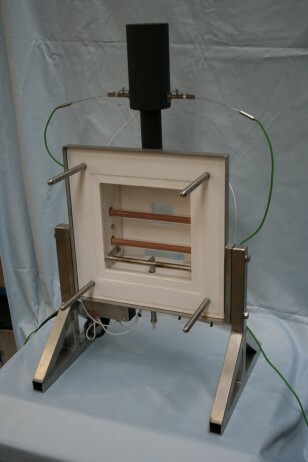 The BS476-6 Fire Propagation test provides information on the influence that a simple material, a composite of materials or an assembly of materials, would make to the rate of fire growth within a compartment. Although often termed a “heat release” test, the result represents a much more complicated product of several factors including ignition, heat release and thermal properties. Comparisons are made between the effluent gas temperature/time relationships within the chimney of the apparatus for a reference material and for the product under evaluation. The reference material is also used as a calibration sheet to ensure correct setting and operation of the apparatus and consistency between tests. Gas Supplies: The gas supply specified in the Standard is Standard test gas G112, as specified in BS 4947.